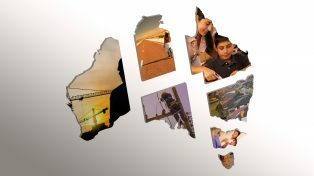 Home > Sydney – Mind the gaps: what can we do about widening gaps in school education in Australia? 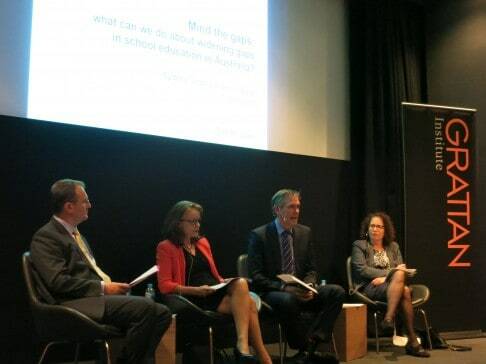 Sydney – Mind the gaps: what can we do about widening gaps in school education in Australia? Learning gaps between Australian students of different backgrounds are alarmingly wide and grow wider as students move through school. Grattan Institute recently published Widening gaps: what NAPLAN tells us about student progress. The report finds that the gap between students with parents with low education and those with highly educated parents grows from 10 months in Year 3 to around two-and-a-half years by Year 9. Bright kids in disadvantaged schools fall two and a half years behind bright kids in advantaged schools by Year 9, even though they were doing just as well in Year 3. These students are not getting a fair go. How big are these learning gaps, and what do they mean in practice: for young Australians, for the economy and for Australian society? What should we do to enable every child in every school to achieve their potential? Dr Pete Goss is the School Education Program Director at Grattan Institute. Pete has over 10 years’ experience as a strategy consultant, most recently with the Boston Consulting Group, advising Federal and State governments on service delivery innovation. He has worked with Noel Pearson to improve education outcomes for Cape York primary school students, and advised the Federal Government on the future of international education in Australia. Dr Lisa O’Brien is Chief Executive Officer of The Smith Family, Australia’s major education-oriented children’s charity. Lisa has worked in leadership roles across the public, not-for-profit and commercial sectors over the last two decades. She is a non-executive director of the Community Council for Australia and BUPA Australia & New Zealand, member of Chief Executive Women and former CEO of the Skin and Cancer Foundation Australia. Lisa was also a founding member of Sydney’s Lou’s Place, a drop-in centre providing respite and support for women in need. Ross Fox is the Executive Director of the National Catholic Education Commission. Prior to this Ross was the Director of Policy Research and Communications at the Catholic Education Office Melbourne and Executive Officer of the Catholic Education Commission of Victoria Ltd. He has a depth and range of practical and consultancy experience in a diversity of situations – from McKinsey & Company working across Australia and New Zealand as a management consultant to remote Indigenous communities in WA where he was a relief store manager and a community development adviser. He has also worked in industry and as a senior political and policy advisor, and negotiator at state and federal level. He is active in local parish life and has a strong practical faith commitment. Leslie Loble is Deputy Secretary in the NSW Department of Education and leads cross-sectoral, state-wide and national developments in education, spanning early childhood education, schooling and higher education. 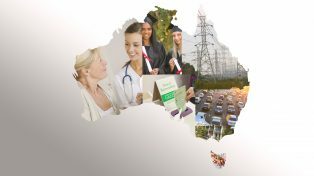 She shapes State policy and leads negotiations with the Commonwealth over education policy and funding, including agreements worth more than $10 billion over four years to New South Wales. She led the NSW development of the Gonski school funding reforms and new State funding arrangements for early childhood education. She is a member of major education boards and committees and chairs the national Schooling Policy Group on behalf of Australian Education Ministers and CEOs. Her leadership in public policy was recognised when she was named one of Australia’s 100 Women of Influence in 2013 (Australian Financial Review-Westpac Award).